With the best DIY materials on the market, 3 Oaks Studio returns providing guidance for all of your home remodeling painting projects. Using Chalk Paint® Decorative Paint by Annie Sloan learn how you can transform your tired cabinets, furniture finds, hand me downs, floors, walls and more! And the best part is no stripping, priming and no hours spent sanding. Go right to the fun part! During the daily “deminars” Vicki will show you how to transform ordinary outdated cabinets and more, answer questions and inspire you to create your own masterpieces using the one and only Annie Sloan paint! Be sure to stop by the booth located in the Exhibit Hall at the entrance to Sixth Avenue (#214-215) and enter to win a FREE Workshop - which are offered weekly at 3 Oaks Studio’s main shop located in old town Clovis. Also for a fully stocked inventory of all products for your DIY painting projects, visit Embellish & Restore, a local retail partner located in downtown Visalia. Let the knowledgeable staff at Thimble Towne showyou how to add a personal touch to your home and make things that are uniquely you! Learn how some simple sewing and embroidery techniques can add that pop to bring your home to life. From baby garments to decorative pillows, you can make one of a kind designs that your family and friends are sure to love. Whether you are a first time quilter, experienced art quilter, enjoy garment sewing, or just want to learn a some new techniques,Thimble Towne's extensive class offerings and workshops have something for everyone and are perfect for those short on time too. 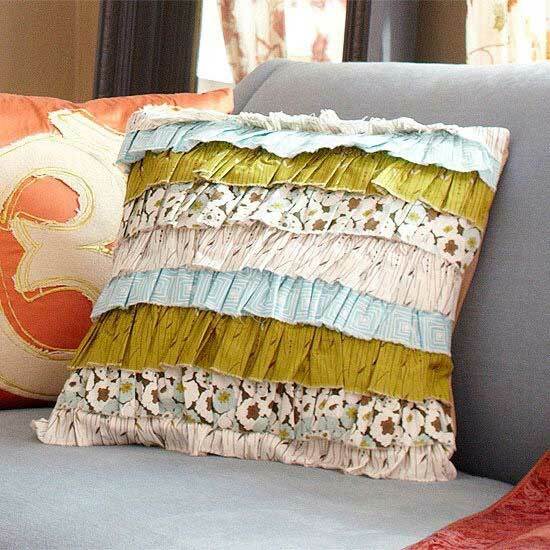 You'll be turning things from drab to fab in no time! 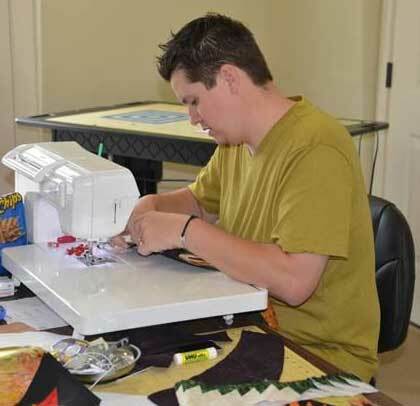 Thimble Towne, located in Visalia and serving the quiltingand sewing community for the last 15 years, carries 100% cotton fabrics, an array of notions, books, patterns, Baby Lock sewing machines, Horn of America and Koala sewing furniture. Be sure to stop by their booth, located in the Exhibit Hall onFirst Avenue (#246-247)to enter to win an Elizabeth Babylock Sewing Machine. Let the pros at Tandy Leather show you how to create a “Belle” Hanging Lampshade or cover your generic switch plates with leather. Tandy Leather, located in Clovis, is the world’s leading distributor of premium leather and supplies. -Hair on Cowhide Rugs (reg $299.99) for $189.99, - Calf hides (reg $99.99) for $70. Both are great for use on home wall interiors, the back of couches, as rugs, or to use to fashion furniture. In addition wholesale prices will be available on tools, kits, hardware, conchos and more. Stop by their Booth located in the Exhibit Hall just at the entrance(#201) for information or suggestions about other projects. Tackle your home renovation projects with Home Depot’s DIY guidance – including step-by-step instructions, photos and supply lists. Enjoy two “hands-on” workshops where you build an occasional table or tile a framed mirror. All of the materials you need to complete the project are provided along with prep and step-by-step building instructions and the Home Depot instructors don’t miss a thing.